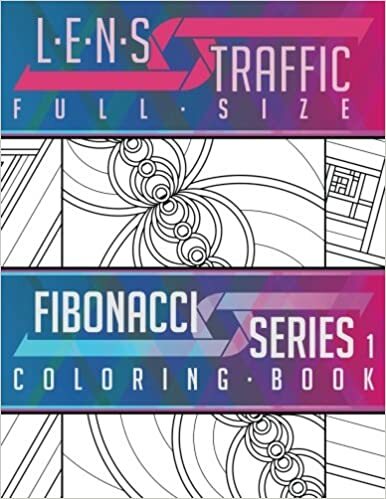 45 FULL SIZE pages of FIBONACCI illustrations designed for coloring. 0, 1, 1, 2, 3, 5, 8, 13, 21, 34, … you know the sequence. You know the shapes: circles, triangles, squares, pentagons, and hexagons. I did some sequential artwork with them. You get to color that artwork. In sequence! Artwork pages are printed single-sided on white paper. Perfect for relaxation, meditation, and stress-relief. Also, just a bit of fun! Share your colored artwork on Instagram—@lenstraffic—using the hashtag #lenstraffic.